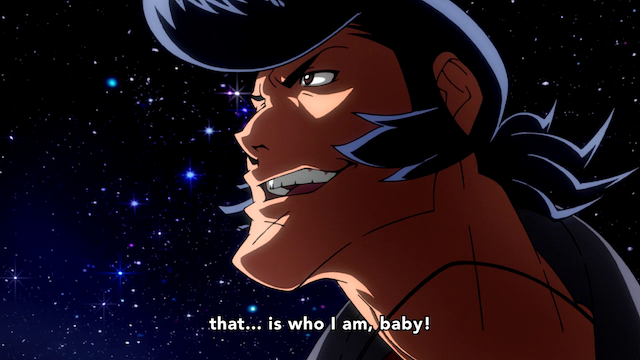 Space Dandy stakes his claim. The first episode of Space Dandy turned out to be mostly silliness. As I said in my season preview, this show just doesn’t look like it is going to have the heft that you might expect from Shinichiro Watanabe (Cowboy Bebop). Meanwhile the Ending theme, sung by Etsuko Yakushimaru was actually quite pleasant, although not as attention-grabbing as her work on, say Mawaru PenguinDrum. Hello everybody. 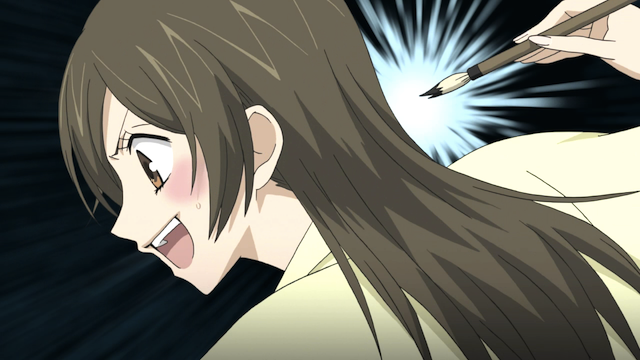 I have been taking a break from blogging, but not from anime! In the past I used to try to write a post for every interesting series upon having seen the first three episodes as a “taste test”. The last of the “first three” have just aired, or are about to do so. 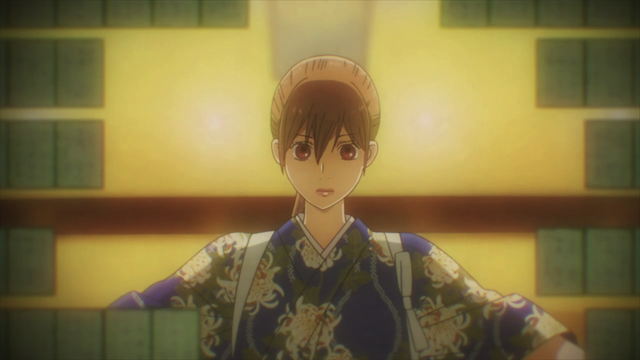 Having seen the first three episodes of many shows this season, I conclude that the one I enjoy seeing the most one quarter of the way into Fall 2013 is Kyoukai no Kanata, a series about a meganeko blood mage, and the boy who loves her. Kyoto Animation has done their usual spectacular job of animating the series — everything looks great, and this time there are actual fantasy action scenes (sword fights, yeah!) 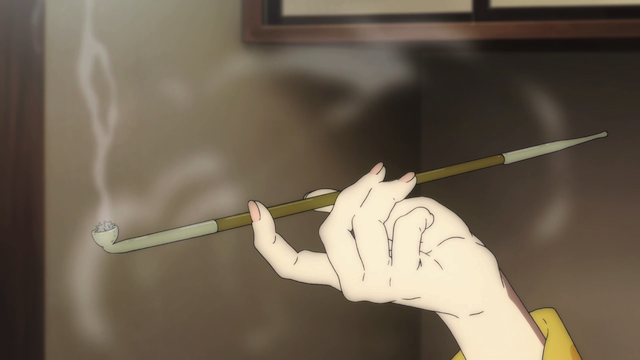 that get the KyoAni treatment, but they also throw in some amazing animations of small things, such as Ayaka’s hands while she was tracing out the occult circle. Remarks from around the blogosphere are mostly positive, including surprise that we already are pulling out a serious battle this early. Kyousougiga — This show is great fun, and I really like the way the mythology is mixed with almost a Sci-Fi feel. Log Horizon — This show is holding up better than I thought it would. The story is starting to develop, and I think they are managing to build up tension without using the same — you die if you lose trope that has been used plenty already. Yowamushi Pedal — so far this one looks better than Ace of Diamond, the other sports-themed anime this season, but I often lose interest in these shounen sports shows, which have a tendency to go on far too long. Yozakura Quartet Hana no Uta — I went into this without having seen previous entries and find it pretty entertaining so far. Golden Time — I wouldn’t say this is one of the better shows I am watching, but the third episode certainly went in an unexpected direction. I hope the rest of you are enjoying the Autumn as much as I am! A show that so far has simple ideas, but a strong design sense. This post is based on watching the first three episodes of Amnesia. 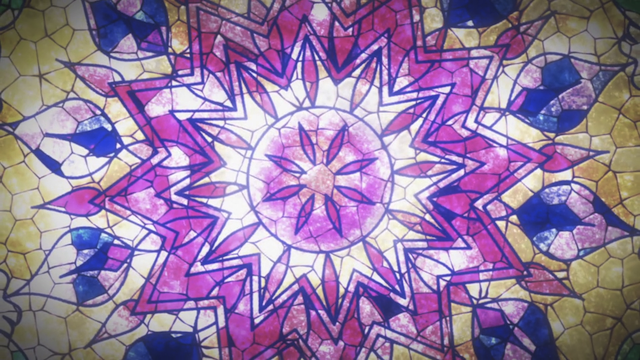 The show has a very strong design sense; it is also clearly based on an otome game. Although (as with any otome-sourced anime) the show is largely an excuse to get a girl into a situation where she needs to interact with a bunch of guys, Amnesia actually manages to establish itself as a Mystery. Our nameless heroine doesn’t know how she relates to those around her, and her attachment to reality is demonstrated to be thin, right from the start. 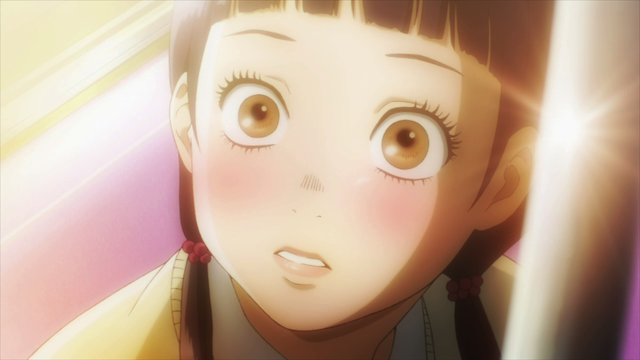 Instead of just presenting the story as the mystery of who she is and/or what happened to cause her to lose her memories, inexplicable, even supernatural, elements are added in ways that make little sense (but maybe in a good way?). Idols fighting the police with laser swords? This is only the beginning. In a future where fabulousness is outlawed, who will fight for our right to entertainment? AKB0048, that’s who. AKB0048 are the spiritual successors to J-Pop sensation AKB48. AKB0048 is also the name of the last series to air of the Spring 2012 anime season. This is a Science Fiction series in which idol band AKB0048 fights against government prohibitions forbidding entertainment. Our perspective is that of some young fans, who are inspired by the groups fabulousness, and seek to join them. This adds a helping dose of tween rebellion that fits the basic theme of fighting for the Freedom of Expression quite well.